The Mobile Boardroom considers a series of short stories devised by EMC and its team in order to support business owners. It offers new ideas, guidance and pointers on how not to make the mistakes so many have made before. EMC’s ‘Mobile Boardroom’ will put you on the right track so that you can watch your own company grow. With input from experienced experts in their field, each chapter gives you clear tips and advice based on proven best practice. 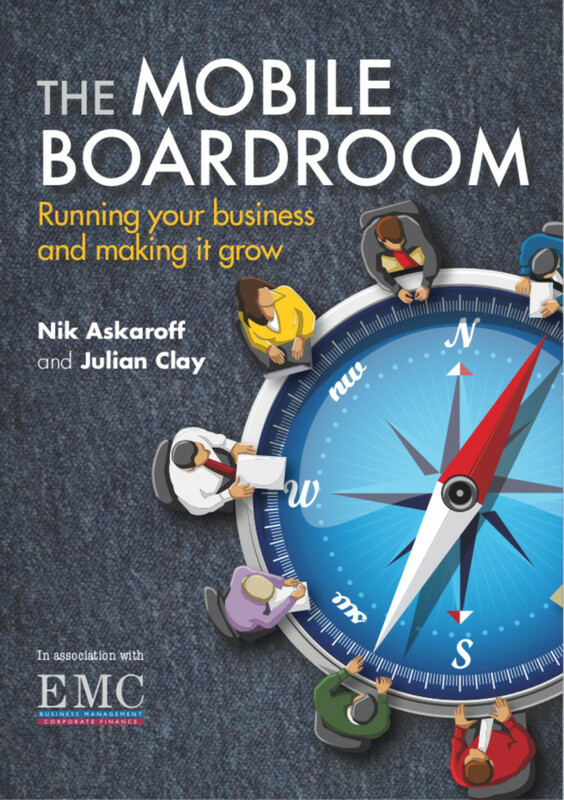 With over two hundred years of corporate experience between them, the EMC boardroom of over twenty specialists covers all of the disciplines necessary to run a successful company. This book is an essential read whether you currently run or are eventually hoping to run and manage your own company. It will be a constant support—guiding you through some of the challenges that you will inevitably face. Nik Askaroff is the founder and CEO of EMC. He is a former President of the UK-based South Eastern Society of Chartered Accountants, past Chairman of both Business Link Sussex and Sussex Enterprise (the Chamber of Commerce for Sussex). Nik holds board positions with six companies and at EMC. He distills his many years experience into this practical book.